For sale is this well built 5,000 square foot commercial building sitting on 2 flat acres and has over 550 feet of road frontage. 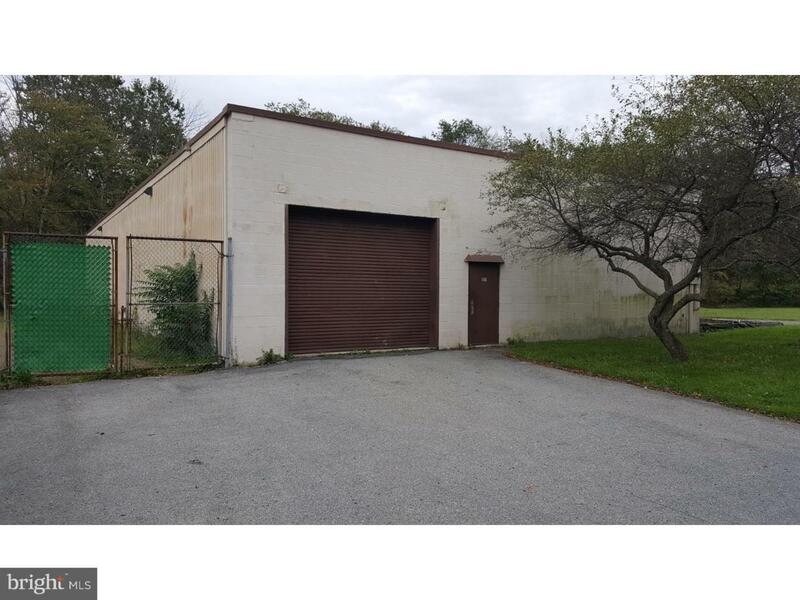 This property is zoned transitional industrial (I-2) which has a variety of approved uses. A full list of these uses can be provided. Previously this property was the headquarters for a commercial roofing company. The building is block and steel with 2ft steel trusses. The ceiling height inside is 12ft. The floor is 6" of concrete. There are two overhead doors. One 10' and the other 14'. The 14' opens to a indoor loading dock. This building also has a locker room and office. Central air and electric heat pump for the office and locker room, plus oil burner for the shop and garage area. This building was designed for easy expansion. You could easily double the size of the building if needed. There is a fenced in material yard as well. Property is just minutes from major travel routes, Route 61 and Route 78. This is a great opportunity to expand your business in a growing community.